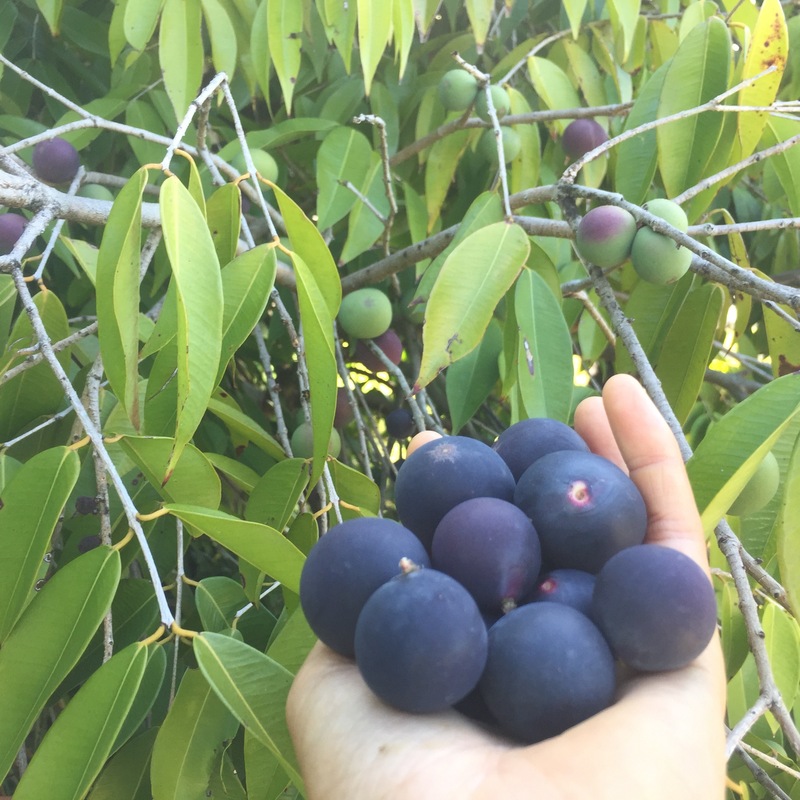 This early variety is starting to ripen.. we fulfilled one pre order this week! 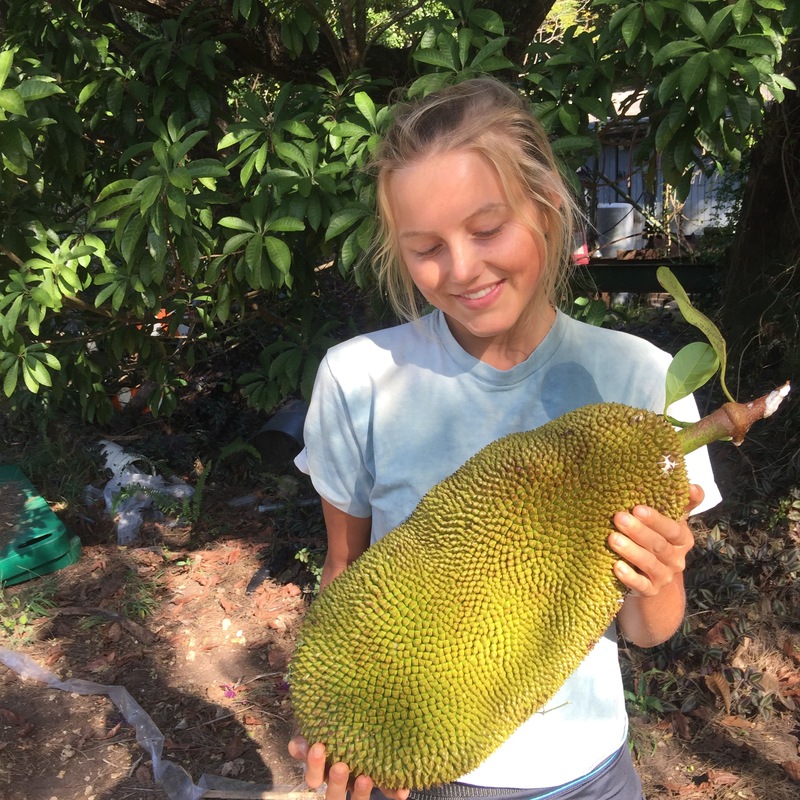 Who's ready for JACKFRUIT SEASON!?! 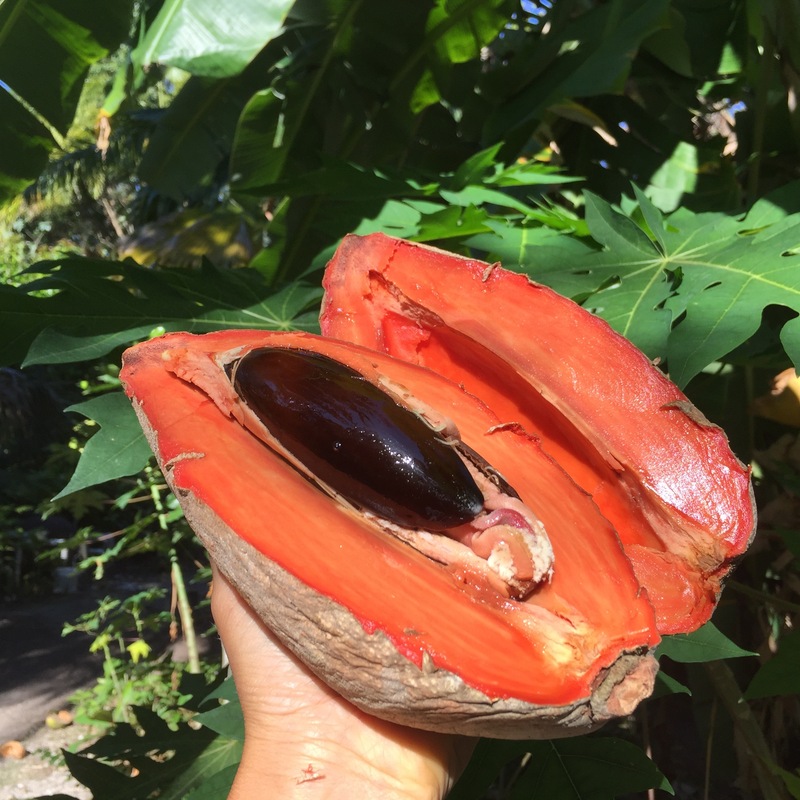 Mamey Sapote! The fruitarian soul food. Goes great in smoothies too! 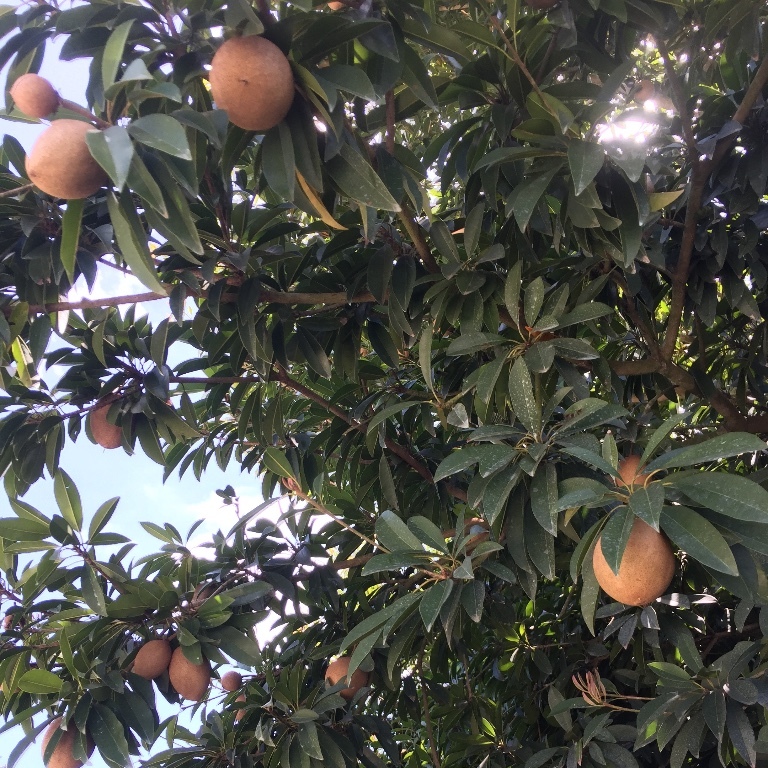 Sweet sapodilla is still going strong, we expect to have them for another month. 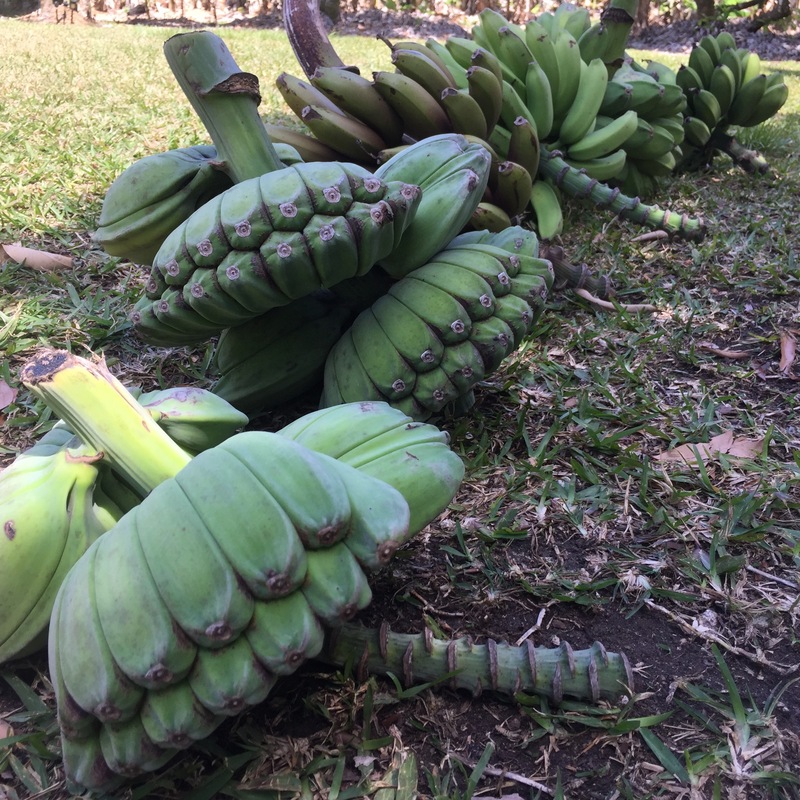 We've been harvesting a lot of gamboge compared to normal. Now is a great time to order if you would like to try it. 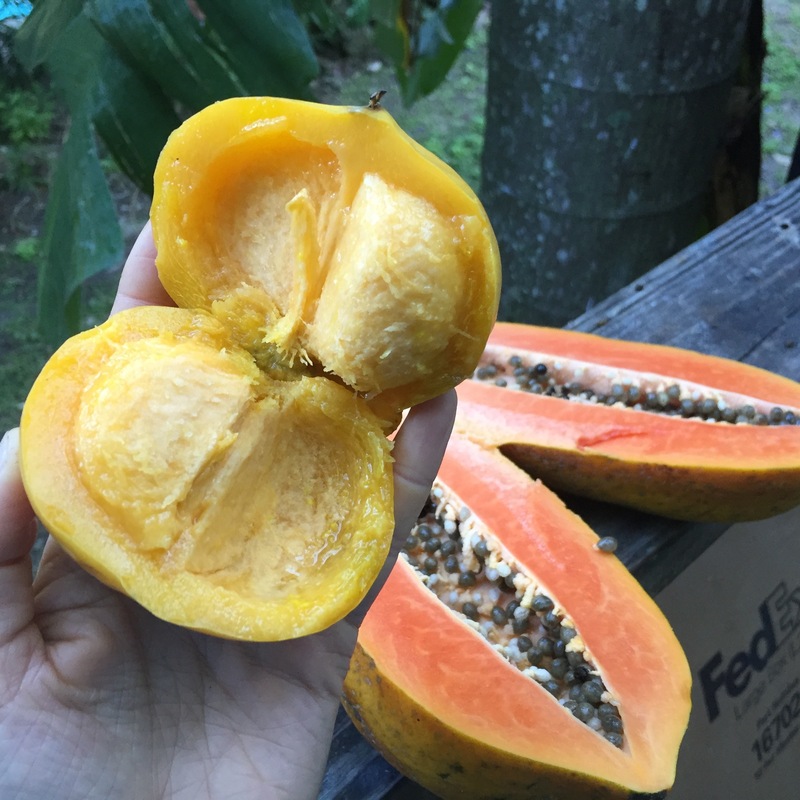 Gamboge also goes great with papaya! Order a box of both and eat them together by the end of next week. We picked a few more pounds of blue grape last week. This jaboticaba relative has a harder shell than jaboticaba. 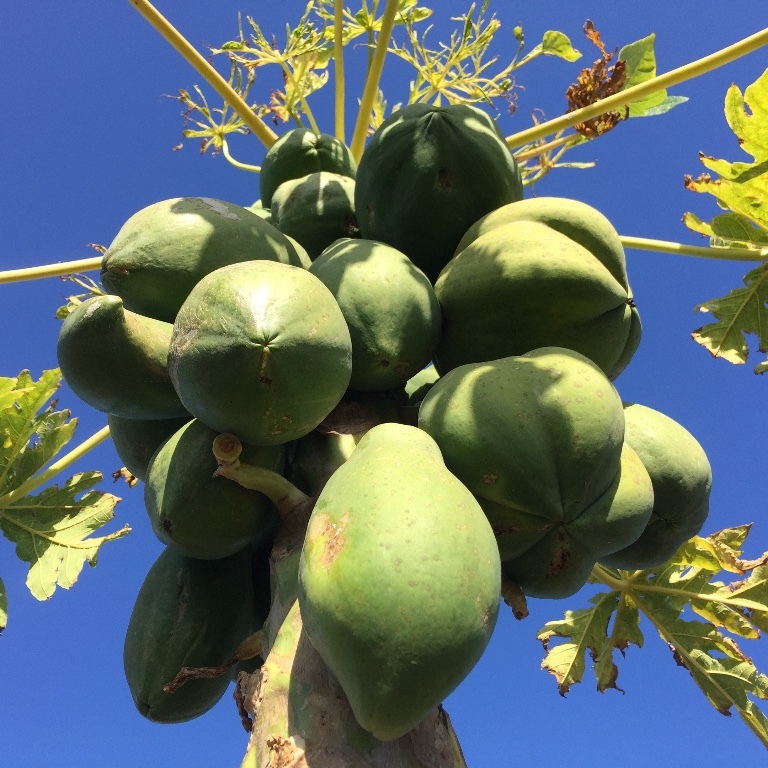 This fruit is enjoyed mainly by unique fruit lovers. 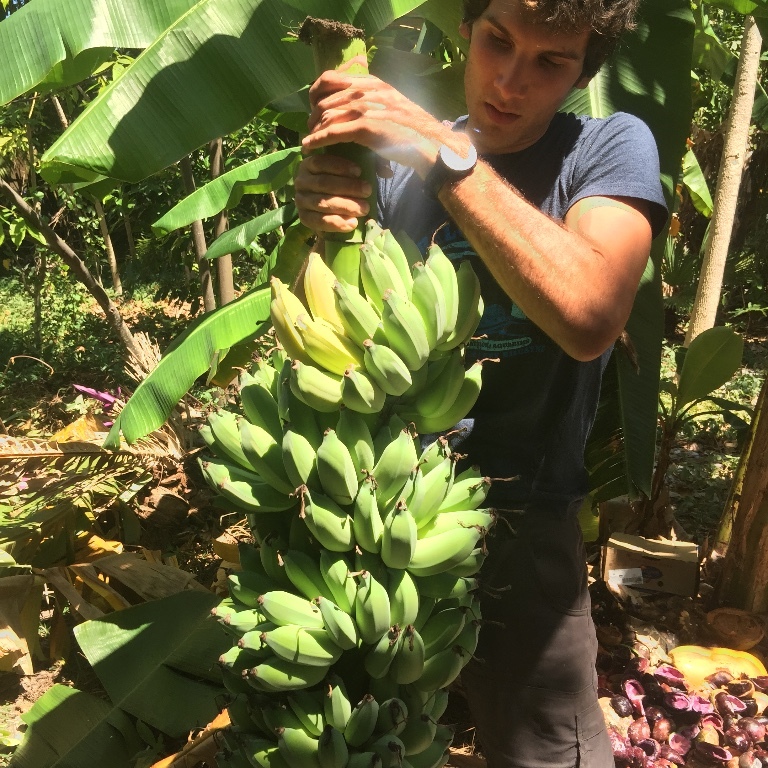 Banana Harvest of the week. (not including some pitogo John found later) Surprisingly this was not enough to fulfill all the banana orders we got last week. Luckily for some of you, Rane noticed this rack of nam wah bananas had ripened while we were halfway done packing boxes. 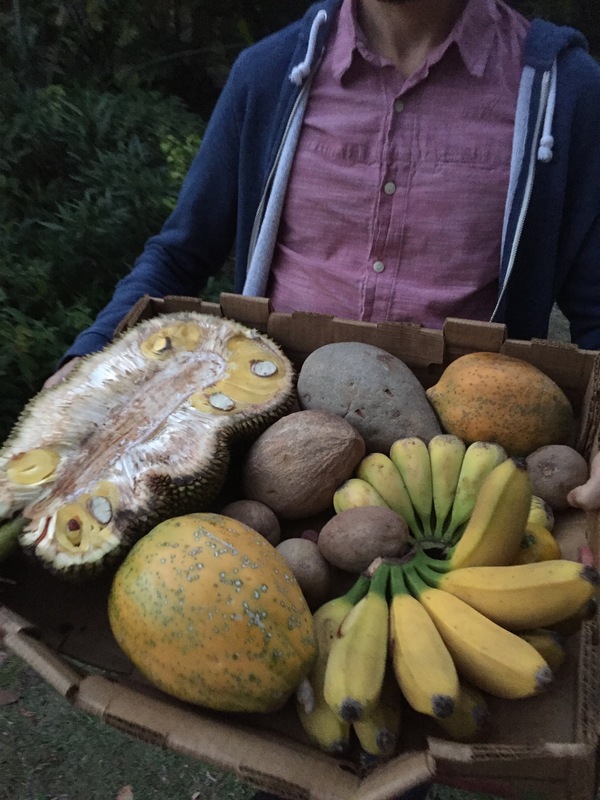 Some of you all got to enjoy these freshly picked from our backyard the day they were shipped. 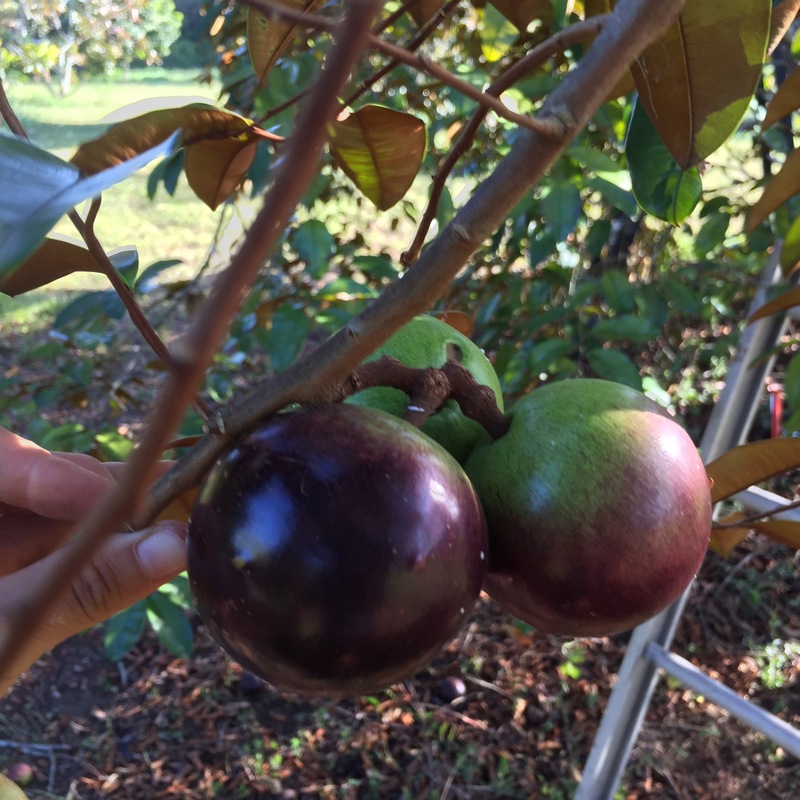 There's still some star apple ripening on the trees, but we definitely harvested less this week than usual. Now is a good time to order. 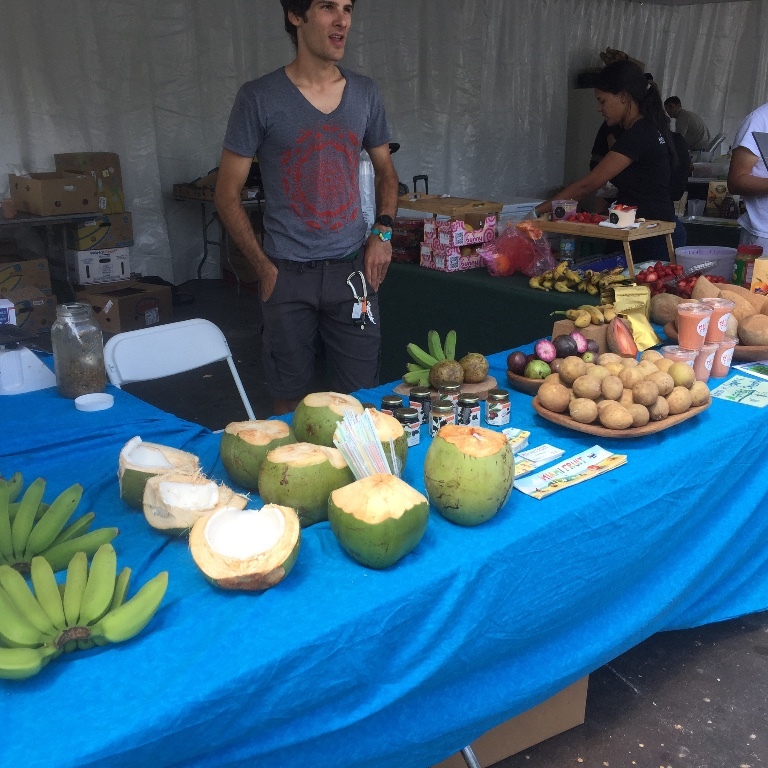 We sold fruits at the World Happiness Summit last weekend! The coconuts and mamey smoothies were a hit. Rane also made an amazing coconut water cold brew coffee for the Sunday event. A vegan italian restaurant called Full Bloom gave us a BBQ jackfruit sandwhich and it was delicious, we highly recommend! Our wonderful helpers Sal and Jessica sold fruit at the SouthWest Community Farmer's market at Tropical Park on Saturday. 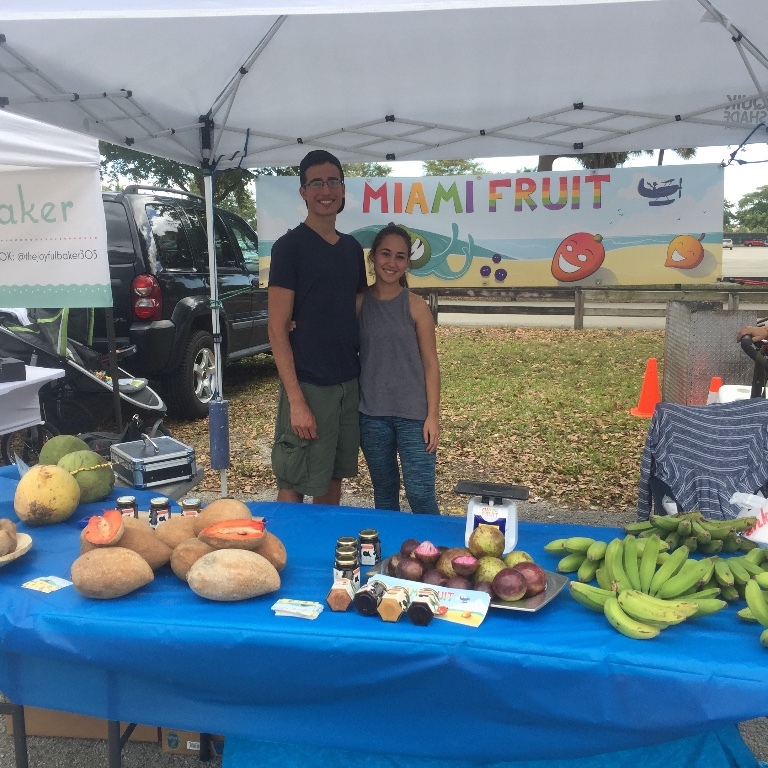 If you are a Miami local, you should definitely check out this market for all kinds of amazing local produce and homemade food.